Review: Given his recent form, it was probably only a matter of time before fast-rising Glaswegian Inkke made an appearance on LuckyMe. 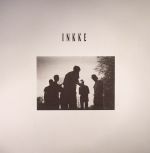 Variously informed by grime, heavy Memphis rap, Rustie and Hudson Mohawke, Inkke's productions slip effortlessly into the LuckyMe catalogue. There's much to admire amongst the six tracks that make up Secret Palace, including a pair of robust club instrumentals - "Chores" and "Simmer" - which have long been staples in the sets of Skepta and D Double E. Our pick, though, has to be heavyweight grime roller "Tales From The Quick", which peppers a weighty sub-bass line and machine-gun percussion with woozy synthesizer lines.